Drew Shoe Women's Blazer Oxfords,Black,10.5 XW by Drew Shoe at Sherlock Coat. MPN: 10418-12. Hurry! Limited time offer. Offer valid only while supplies last. The Drew Blazer shoes are a great-looking casual shoe. 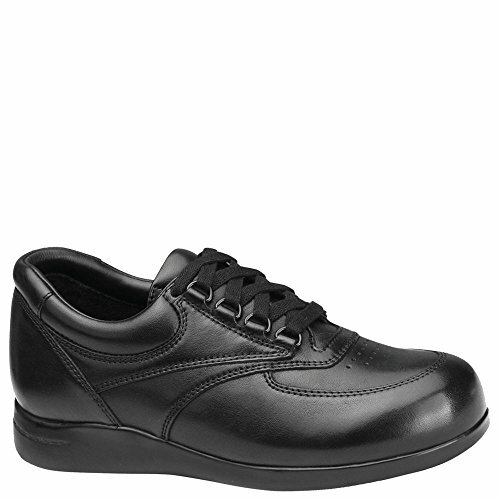 Blazer women's orthopedic shoes also have two removable comfort insoles for a customized fit. The removable EVA insole provides added depth for orthotics. Dri-Lex lining is treated with Aegis Microbe Shield to help prevent odors and stains. Foam-padded tongue and collar help reduce heel slippage and ensure a comfortable fit. Polyurethane outsole. Care: Buff with a leather cleaner or polish. Wipe off with a dry cloth. If you have any questions about this product by Drew Shoe, contact us by completing and submitting the form below. If you are looking for a specif part number, please include it with your message.